As you cross the Nullarbor you’ll be thundering across the largest single piece of limestone karst in the world. You’ve already learned from these pages that it’s possible to locomote across the Nullarbor on the world’s straightest stretch of railroad, but we failed to mention the interesting fact that you’d also be thundering across the largest single piece of limestone karst in the world. Covering an area of 270,000km2, it’s said to have originally been a shallow seabed a mere 25 million years ago – and the limestone was created from the skeletal remains of deep sea creatures. Today, more than 250 caves are recorded in the area, some filled with ocean water hundreds of metres inland to create underground river systems. 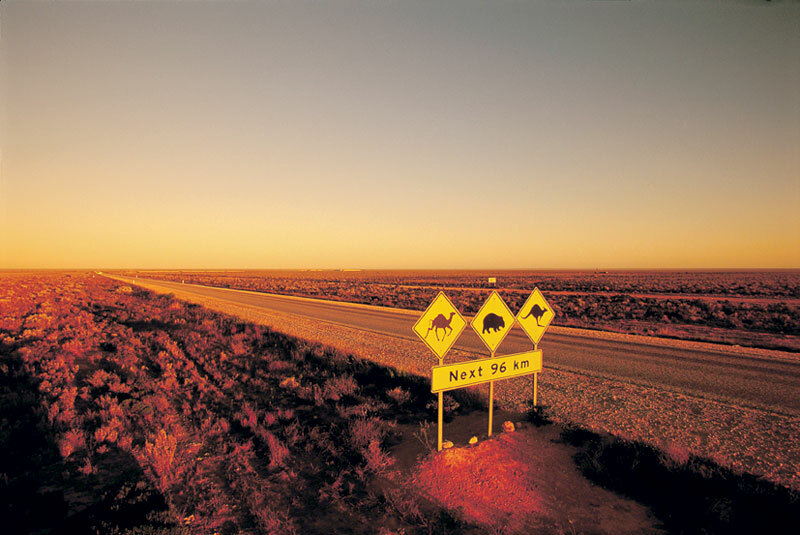 As you road trip your away across this unique piece of geography, you’ll be rolling along one of Australia’s greatest bitumen journeys, the Eyre Highway – named for a little battler called Edward John Eyre, who overcome many hurdles to make the first east-west crossing of the continent. Where // The Nullarbor Plain is two-thirds WA, one-third SA across the southern part of the continent. Did you know? // The stretch of the Nullarbor’s Eyre Hwy near the Great Australian Bight has on occasion been known to double as a runway for the Royal Flying Doctor Service.